Wilson Tool, White Bear Lake, MN, will showcase its latest deburring tool, which allows fabricators to quickly and efficiently deburr parts on a punch press. Available for Trumpf or thick-turret-style presses, the tool coins a small chamfer on the cut edge to accurately and efficiently deburr straight lines or arcs, including acute angles and very small radii. 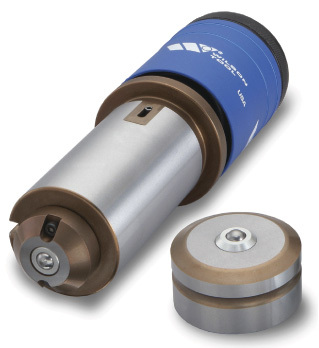 Its unique ball-assembly design minimizes setup and adjustment time by enabling operators to adjust ball pressure without disassembling the tool.